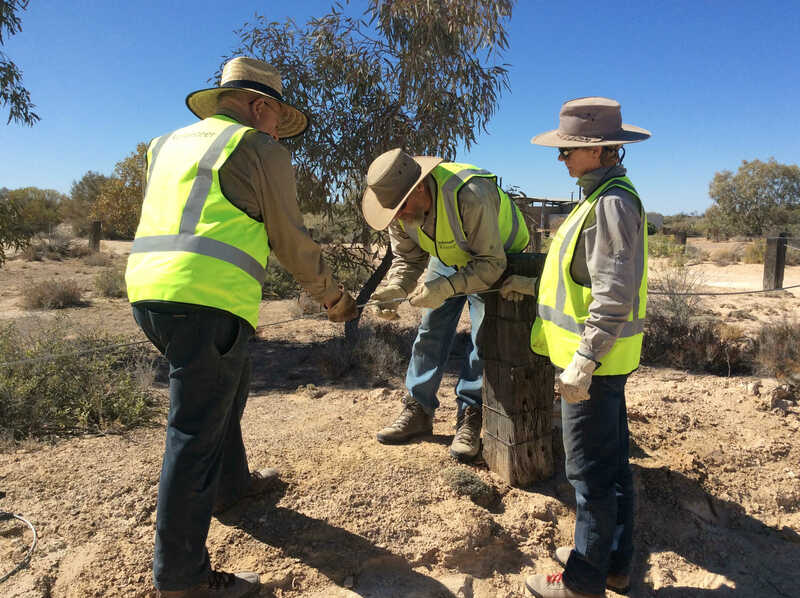 12 members of the Friends of the Simpson Desert Park (FOS) and 6 vehicles attended this year’s Working Bee (WB). As all would know the original dates for this year’s working bee were for the last two weeks of May. However, for various reasons this period had to be postponed and new dates in July/August were selected. 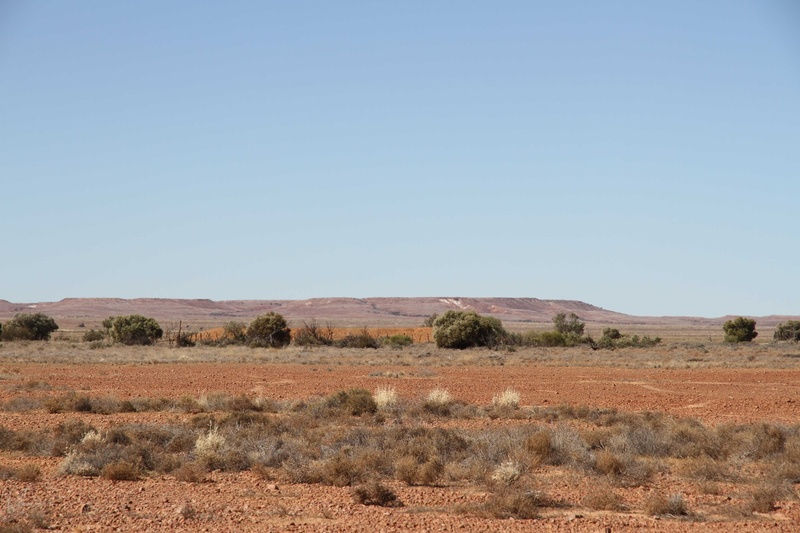 In the meantime, Old Man Saltbush plants had been ordered (to plant around the border of the new camping ground) and dripper equipment purchased and preparations were put in place. On Friday 27th July most of the participants were on their way to Dalhousie. 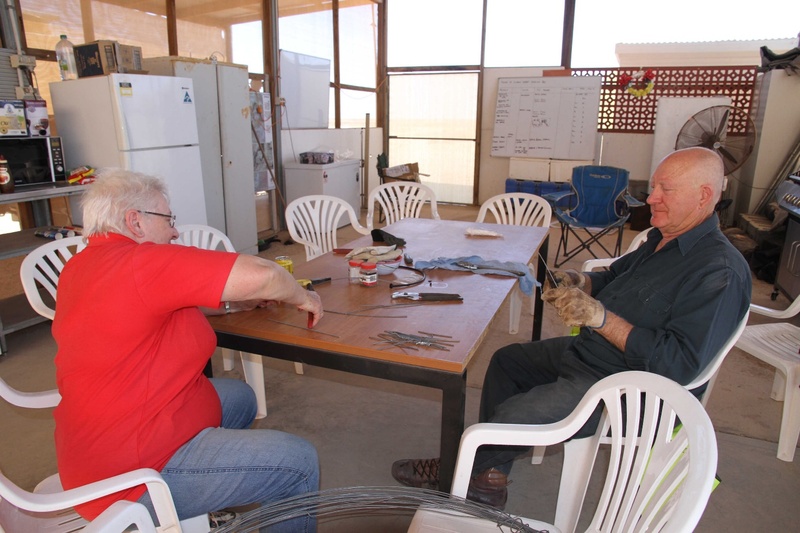 At this point many thanks must go to Des and Flora Bains, Barry and Lesley, Barber/Colley, Karen and Lynton Huxley, Dean Ridley and Ralph Ohlmeyer (who had to off-load some of their provisions to make way for the 500 saltbush plants in their vehicles. ), David and Margaret Moseley and Dean and Shirley Moseley for taking part in this year’s working bee. We all arrived on site by the Sunday and DEWNR Ranger Frank Lyman welcomed the team and took the opportunity to run through the Occupation Health and Safety requirements. Frank also gave an outline of some of the work completed by Parks over the last 12 months. 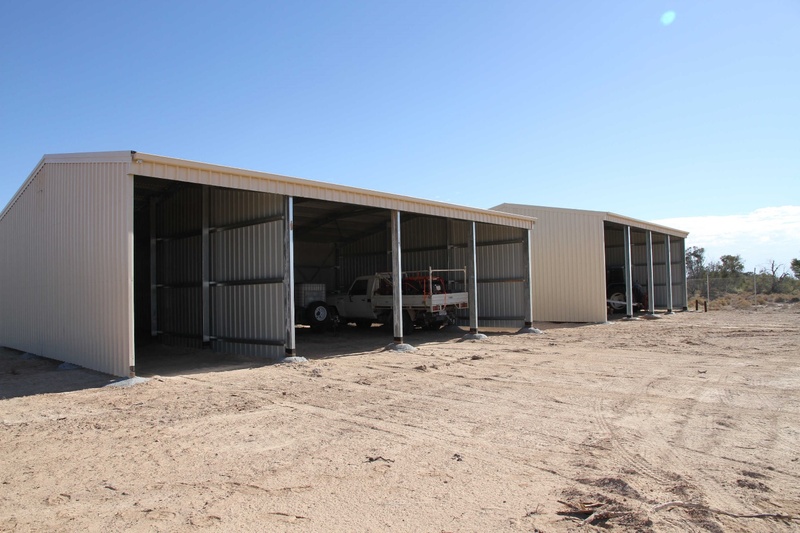 Negotiations for a new compound, sheds and facilities had been completed and the new workshop and sheds were constructed in May of this year and enclosed by a secure wire fence. (Behind the existing Ranger’s Quarters). A considerable amount of funds had been granted to re-locate the Ranger’s Workshop and to upgrade the kitchen area and facilities for the fly-in aircraft pilots. Work on new camping ground site. Date Palm eradication of new plants. Karen and Lynton assisted by Des and Flora emptied out the recycle shed ready for it to be dismantled. 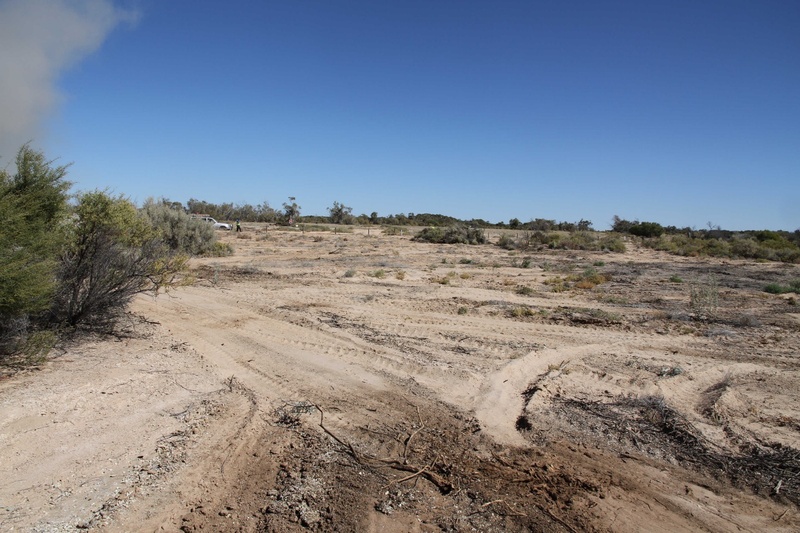 On Monday, work was allocated to the FOS working groups and attention was given to the area being set up for the new campground (located south of the existing toilet area). 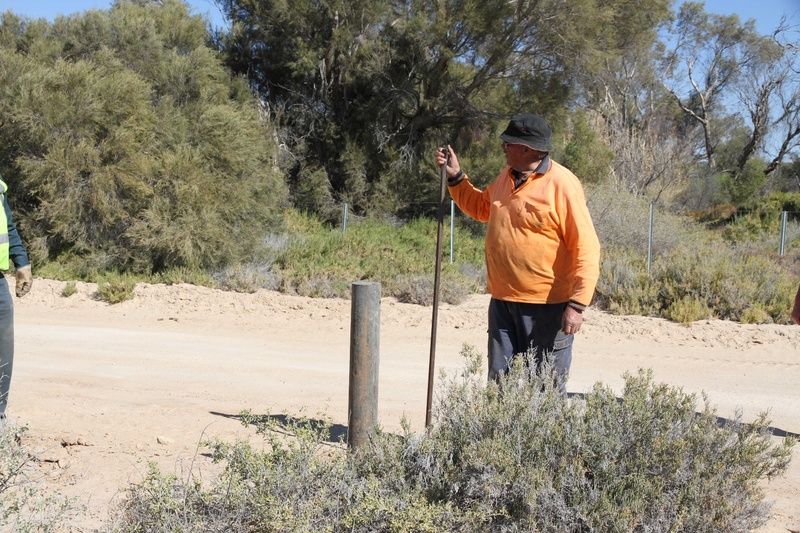 Soil preparation began and the mains water pipeline was located and a new watering station established in the south east corner of the proposed camping area. Site levelled ready for clients. 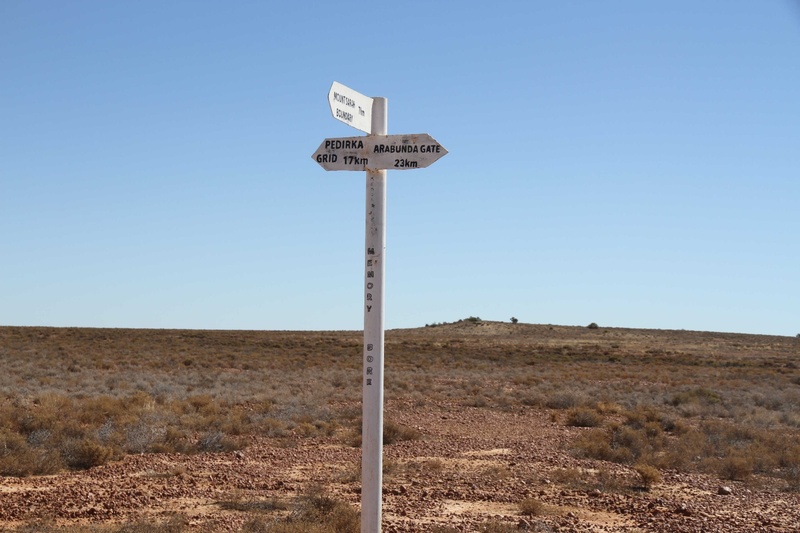 Star droppers were removed in preparation for new bollards along the roadway to the Simpson Desert. 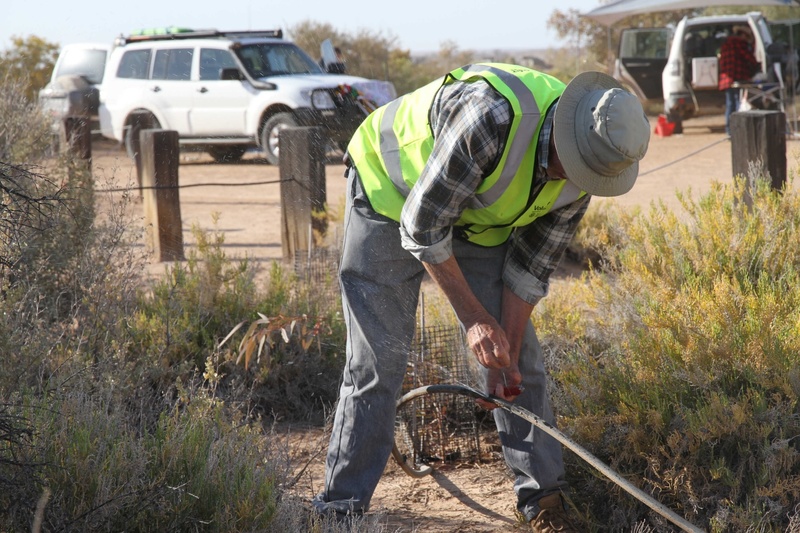 Work in this area continued for 4 days with setting up of a new dripper system and the planting of around 450 new saltbush plants. A team of workers assembled dripper lines which were cut to length and hooks made to hold the dripper lines in place in the ground. 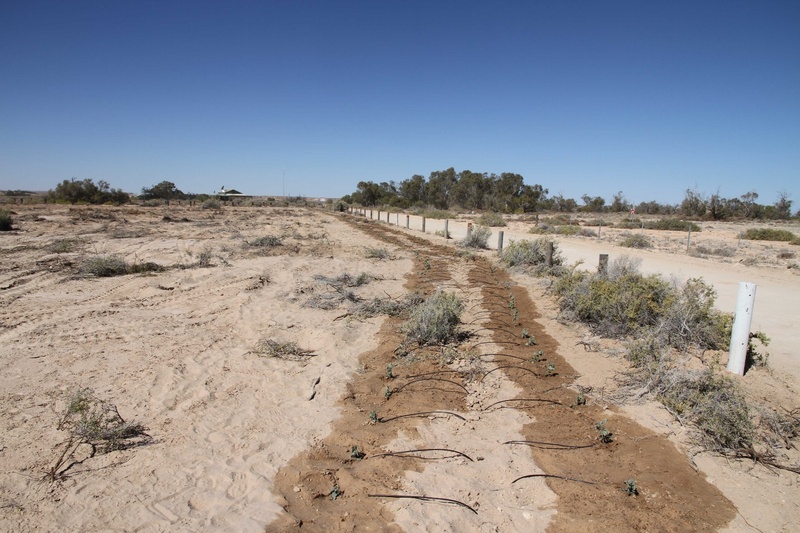 Leftover saltbush were planted near the springs irrigation area where there were some spare drippers not used. An inspection of the existing watering station and dripper system revealed the need to replace the old galvanised riser points in many of the areas. Due to lack of fittings, only two were replaced at this stage. Assembling dripper lines. Making hooks to hold dripper lines in the ground. 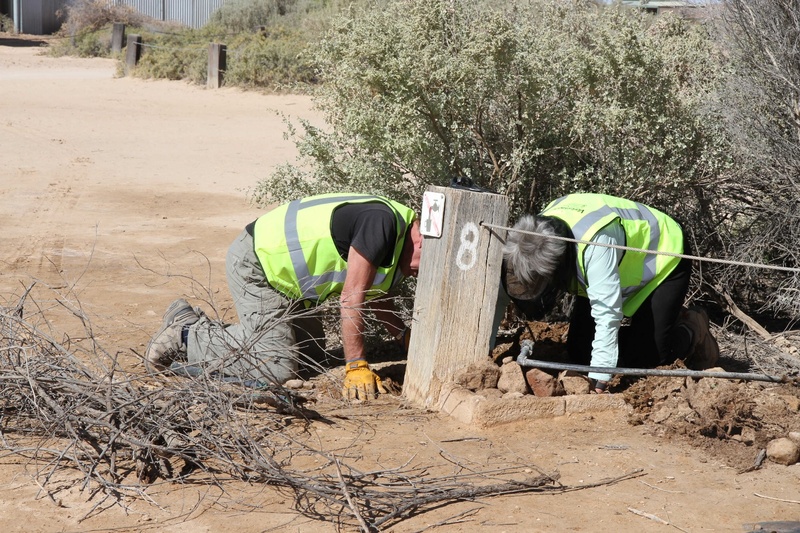 Planting spare saltbush in re-vegetated area. Ralph is making sure the drippers work. Old Man Saltbush planting completed. Plants were bought from the nursery at Waikerie, S.A. 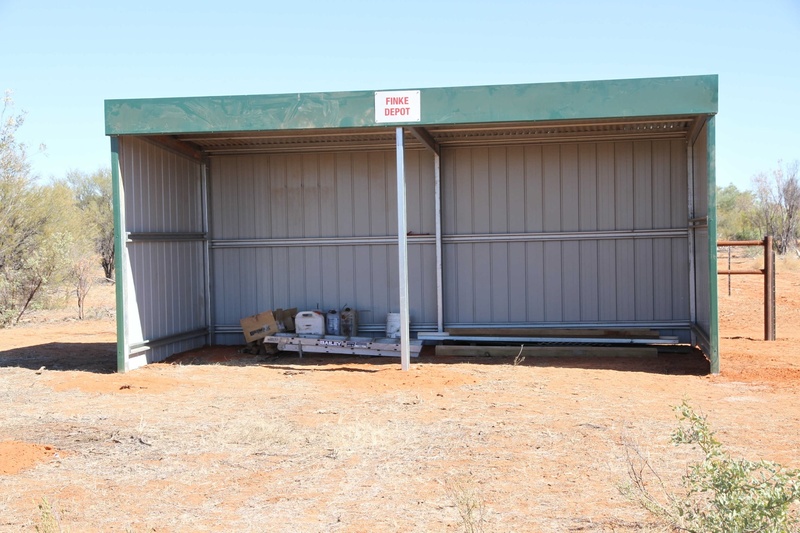 In the year 2016 DEWNR purchased three equipment shelters to assist the Rangers when they were required to complete work in remote parts of the park. 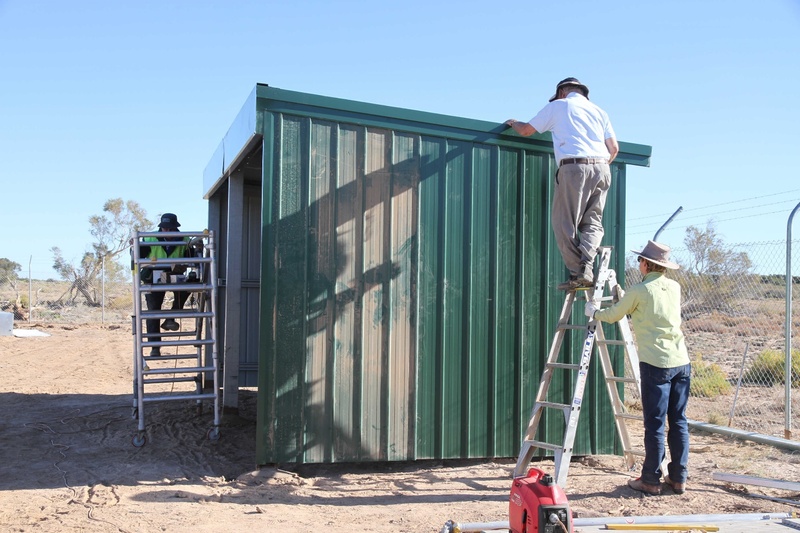 One of the sheds was completed at Alka Seltzer Bore last year and the remaining two sheds were completed at Dalhousie Springs and the Finke Depot during this working bee period. Dalhousie Springs Shed was the first to be completed. 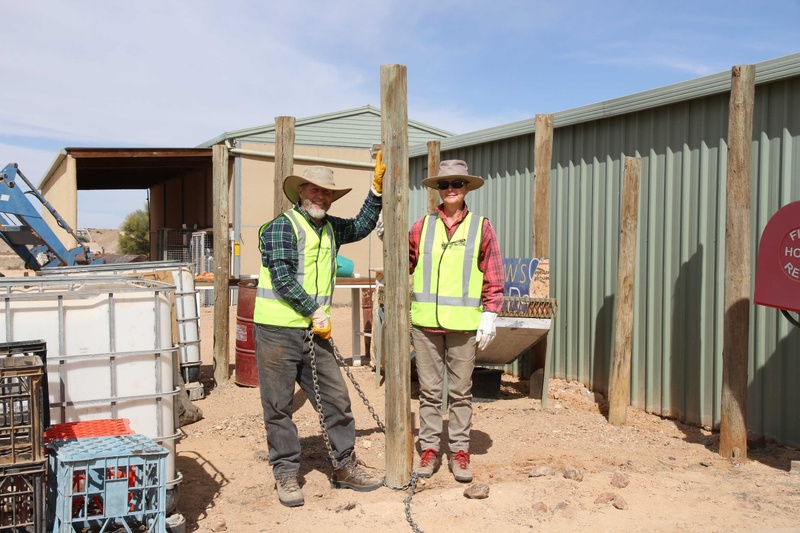 Whilst David and Dean Moseley worked on the shed, Lynton worked on the footings for a storage container. Measurements were taken, six holes dug and the steel work was assembled, stood up and the purlings fitted. The next day the installation of the sheeting took place. A giant Willie Willie didn’t like the proceedings and sent sheets of iron into the fence line of the new compound. The concreting took place despite the dust storm winds and some rain. 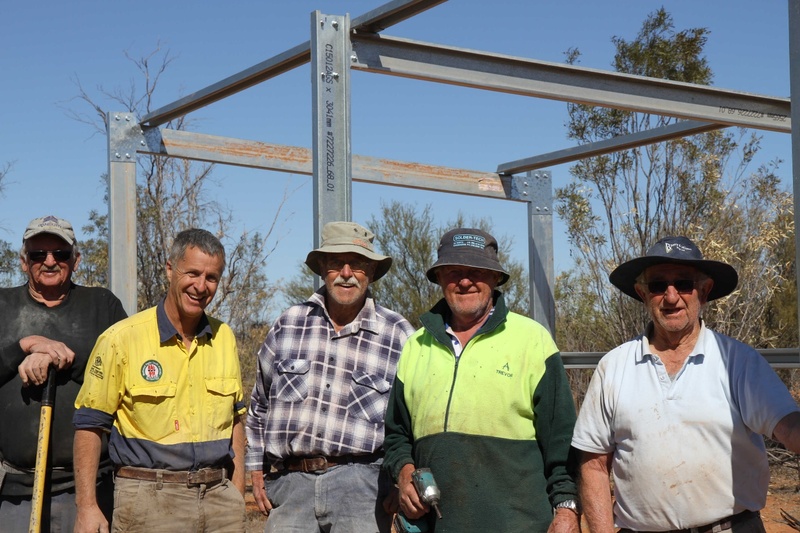 Following the completion of the Dalhousie shed, preparation began to journey to the Finke Depot on the Home Land Track to erect the third and final shed. Last year FOS visited the site along what was then a reasonable firm but mildly dusty typical bush track. How things have changed! The track from Dalhousie to Mt Dare had seen a large increase in traffic over the months of April through to July 2018 and was cut up badly. The track from Mt. Dare to the Homelands had also seen an increase in traffic as cattle had been removed from the area and the resulting transport use left behind large areas of fine bulldust. Our vehicles had to separate by up to two kilometres on the way out because of the early morning stillness. The shed was successfully installed at the Depot, along with a barbeque plate and the wire stand. It is now known as the Finke Depot. 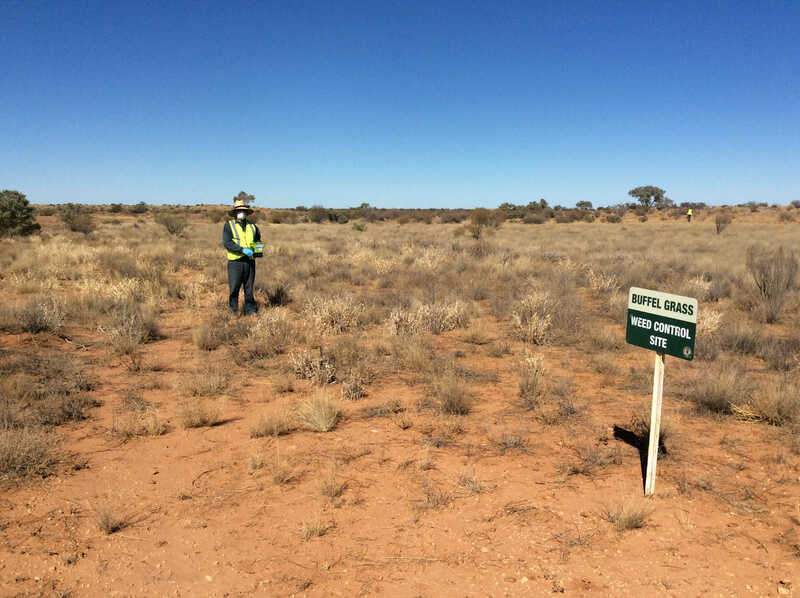 A strategic plan is being developed for the control of Buffel Grass and Mimosa in the park. 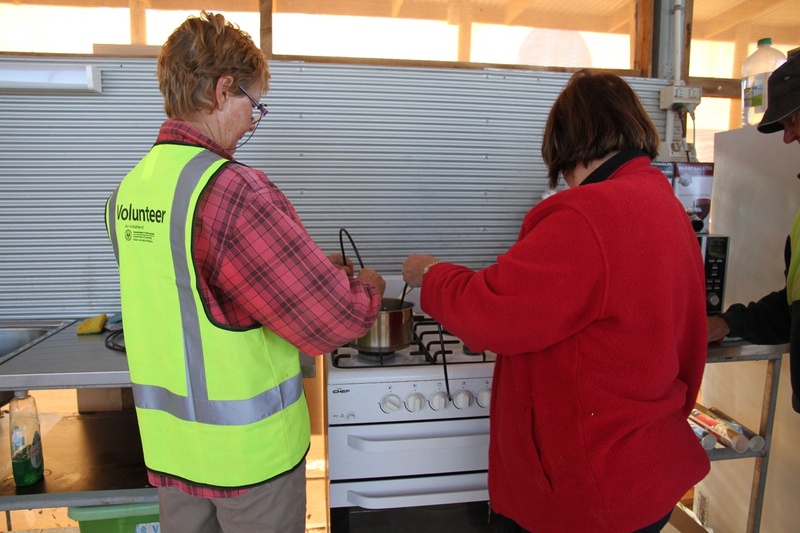 A small group of volunteers travelled to two known sites at Possum and near Purni Bore. A granular chemical was spread over the known areas and now all that is needed is for it to rain to activate the granules. The chemical used in the trial is proving to be successful so far. A strategic plan being developed to manage this very important area and will be scheduled for future working bee projects. FOS was involved in the general tidying up of the camp area and transporting material from the old workshop to the new. Rubbish was collected and the sheds tidied up. Timers on the watering system were all checked and batteries replaced. 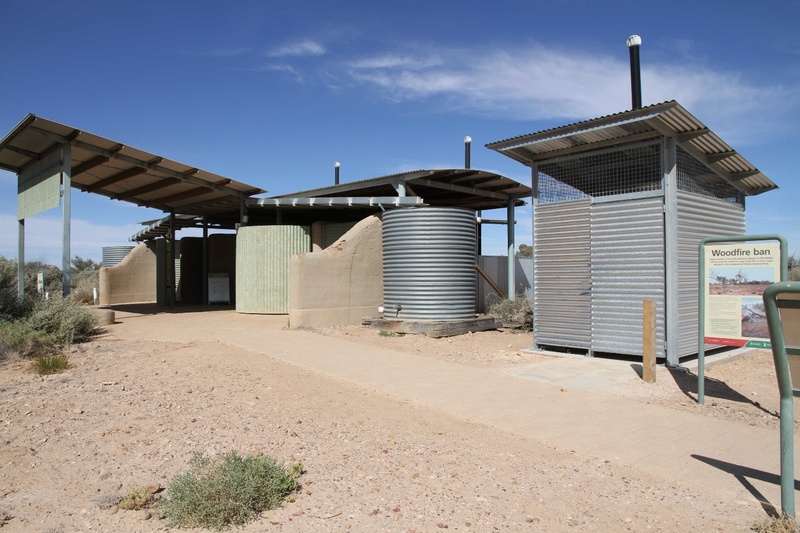 The Department has sought funding to contract an architect to modify the toilet and shower complex to make it more appropriate and available to disabled access. The Architect will also be tasked with designing the campground nodes to make it more appropriate for camp ground and trailer access. 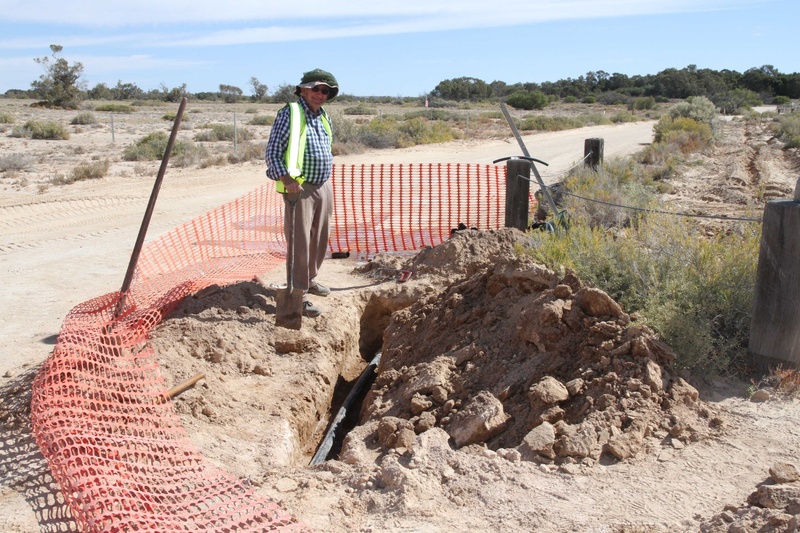 An irrigation engineer will be contracted to re-design the entire campground area. 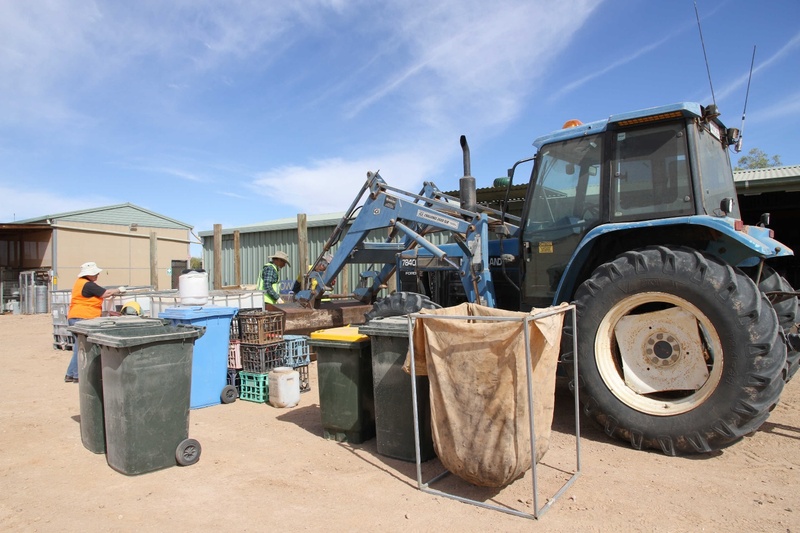 A team of workers accompanied the Ranger into the Simpson Desert and cleared half of the French Line of rubbish (this included a trailer) to Erabana Junction. Whilst they were out there they replaced the plumbing fittings on the delivery pipe to the high water tank. They did all of the fittings at Purni. After a morning’s work the friends group, led by Frank went for a drive through beautiful country to the Arabunda gate on the Macumba boundary. It was a lovely day in a beautiful landscape. The Friends of the Simpson Working Bee for 2018 was a very successful one. 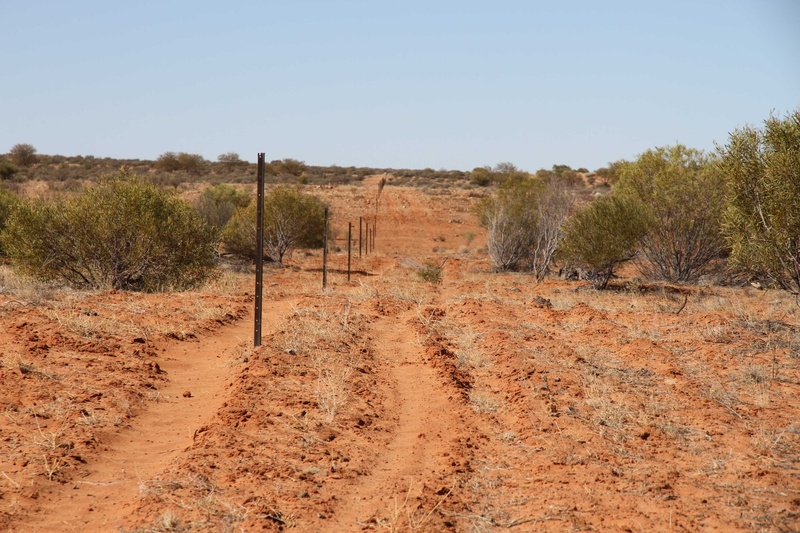 The future projects for the Park in terms of cattle management, fencing, control of buffel grass, mimosa and the date palms will go a long way to preserving the fragile desert environment. Thank you to all of the crew for taking part in this year’s projects. Your contribution and hard work has made a difference. Thank you to DEWNR for putting on a lovely BBQ, allowing us to share their camp facilities, and showing us parts of the country we have never seen before. Photographs courtesy of Shirley Moseley and Flora Bains.